Melanged Magic: I Have Wheels! I feel kind of like a teenager...the first time Dad gave me the car keys to my very own car. (Can you believe it was a 1963 Nash Rambler? OMG!) 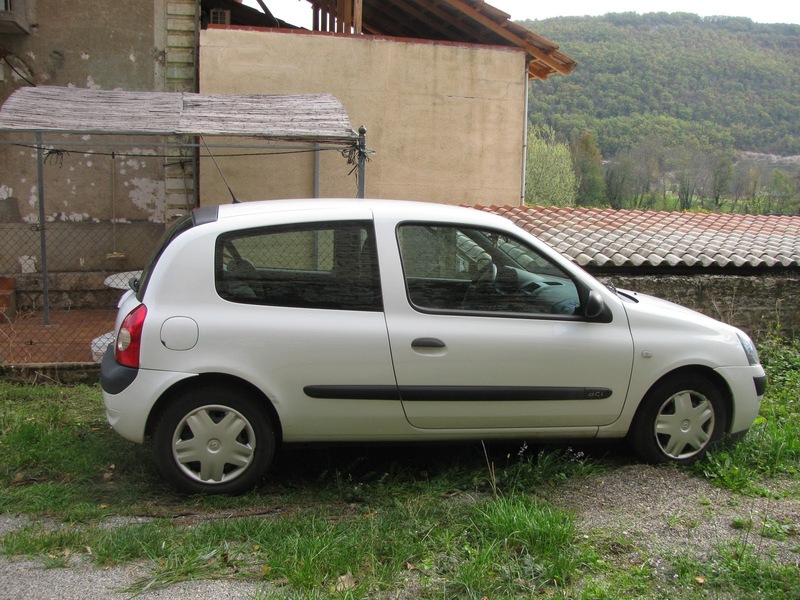 I am now the proud owner of my very own French car...a 2006 Clio. It's a diesel, 5-speed manual transmission and has AC. 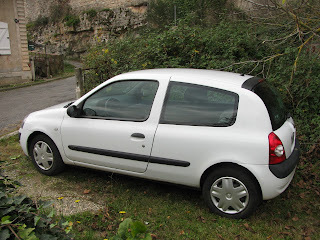 Not a luxury car, but very utilitarian for errands and a bit of exploring. The back seats lie flat, so I'll have plenty of room for Lucie and groceries and luggage when I have visitors. Diesel is cheaper than regular gas here in France, it gives better mileage, and a diesel engine lasts longer, so I think this was a good choice. Although I bought it on Nov.4th, I only took possession this morning. The garage where I bought it changed out several things, checked everything over and cleaned it up nicely. Waiting for it to be ready was good lesson in learning patience--very important when one lives in France as nothing gets accomplished quickly here. There are still some loose ends to tie up...finalizing insurance, getting to the Prefecture in Villefranche to have it registered and buying the obligatory green reflective vest and triangle placards that every car in France is required to have visible in the car (not in the trunk!). But already I feel as if my world has opened up a bit. I can run into town for groceries when I want, and I'm really looking forward to loading up Lucie, getting out my Michelin map and wandering around the countryside.